When King Alfonso X reigned over Castille in the 13th century, he became ill and was only allowed to eat small bites of food and a little red wine during the day. And so he decreed that no Spanish inn would be allowed to serve wine unless it was accompanied by a little bite to eat. The king could never have imagined that, eight centuries later, thousands of pasty Irish travellers would descend on the Costas from giant birds in the sky every year and devour masses of alcohol – even managing to develop a fondness for tapas. Las Tapas de Lola is, to Grub Spy’s knowledge, the latest restaurant to recreate this Spanish custom on Irish soil. 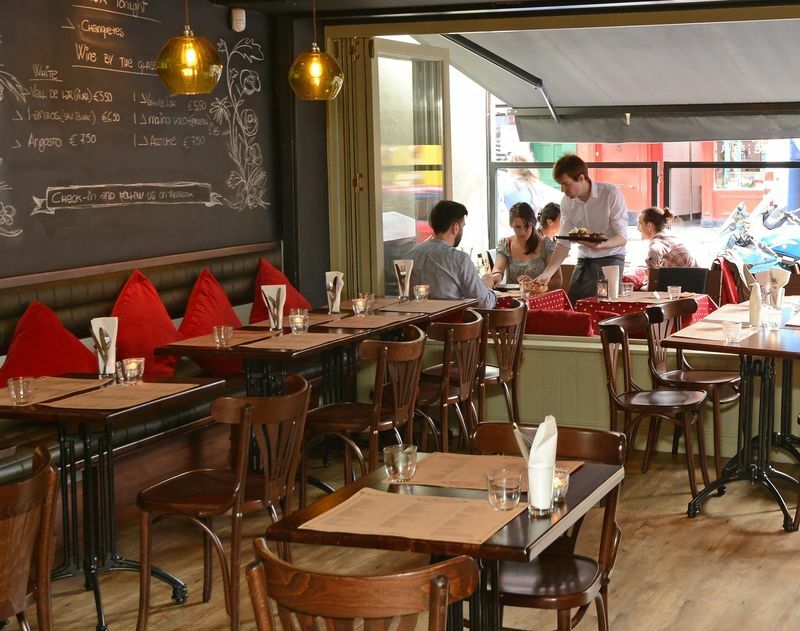 The eatery sits in a space formerly occupied by a butcher, and refitted to create a smart-casual dining room, with extra seating outside. But there’s much more than carne on offer here, with a menu of more than 50 dishes divided into meat, rice and noodles, salads, seafood, vegetarian, sharing platters and desserts.